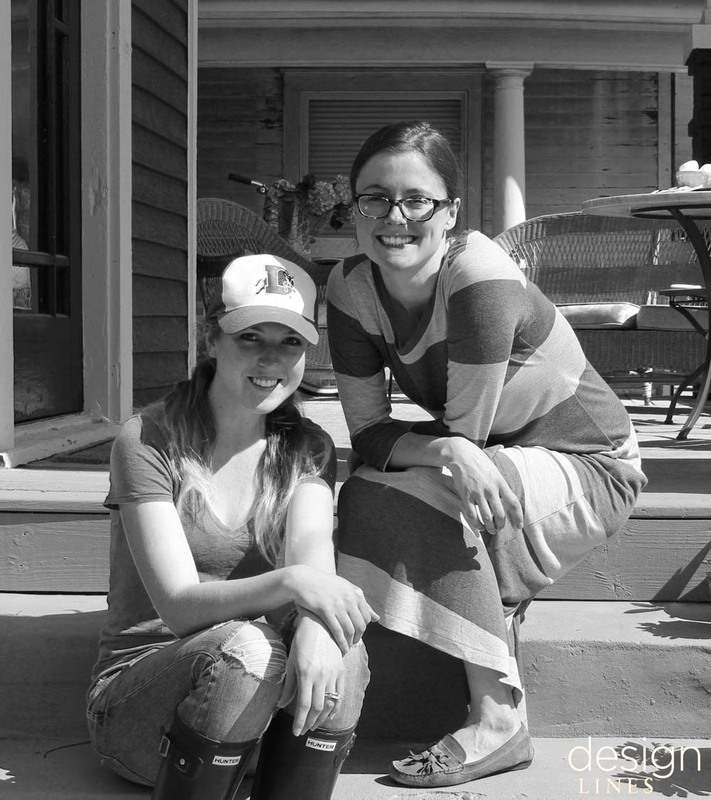 Guest Blogger Series | Design Lines, Ltd.
We are very excited to introduce Anna Eaves of Arrow + Sage (below pictured with Hilaire) as a guest blogger and resident plant enthusiast! 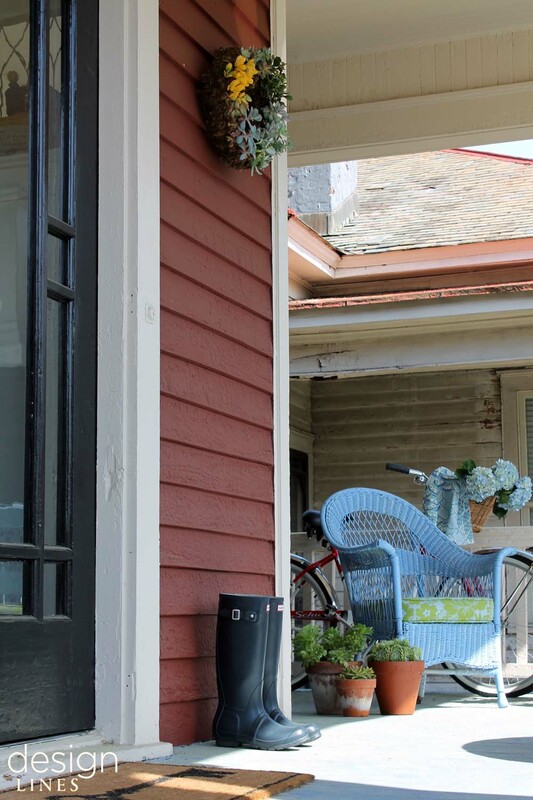 For our first collaboration, we shot a few of Anna’s products on Brittany’s front porch to (finally!) welcome the Spring. 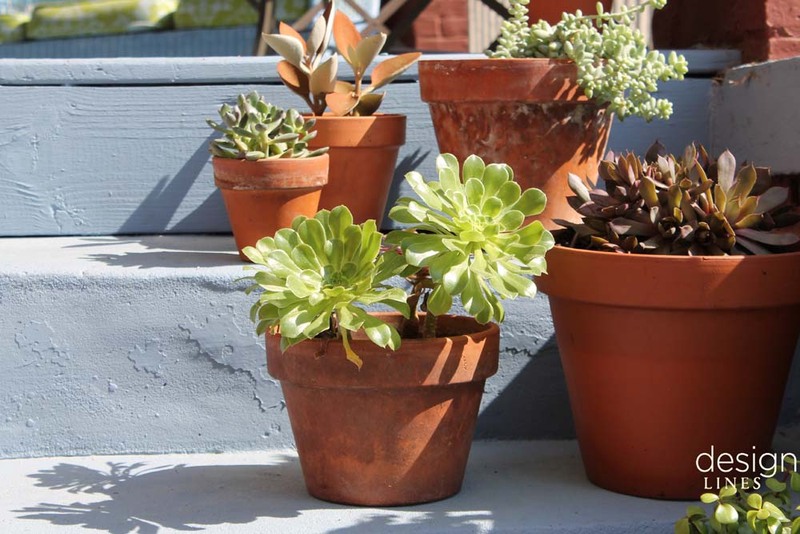 Brittany admits herself that she has a black thumb- but the addition of plants was key to bring to life the porch of her home in Raleigh’s historic Glenwood Brooklyn. 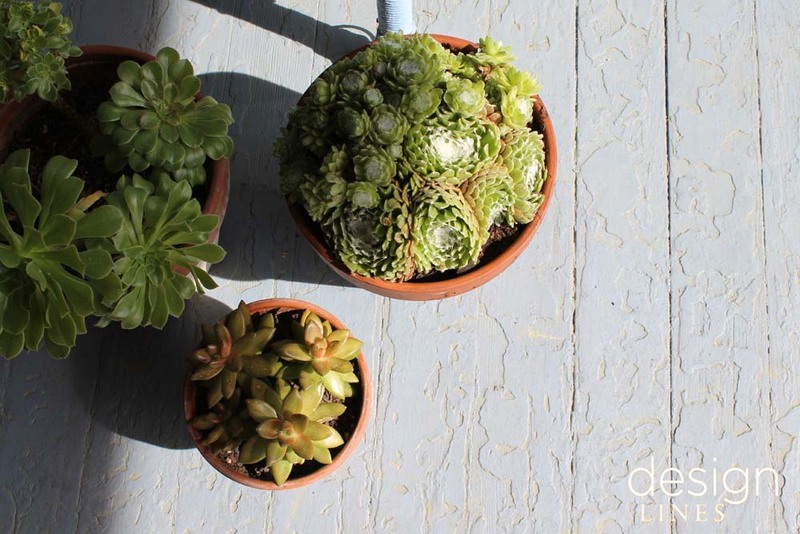 Enter- Anna Eaves and succulent plants= LOW maintenance beauties. We loaded up the front stoop with plants and hung our favorite A+S product- a beautiful succulent wreath (pictured below). Next up was serving fresh beverages and some allergy medication (darn this pollen season!) and a spring project had been tackled! 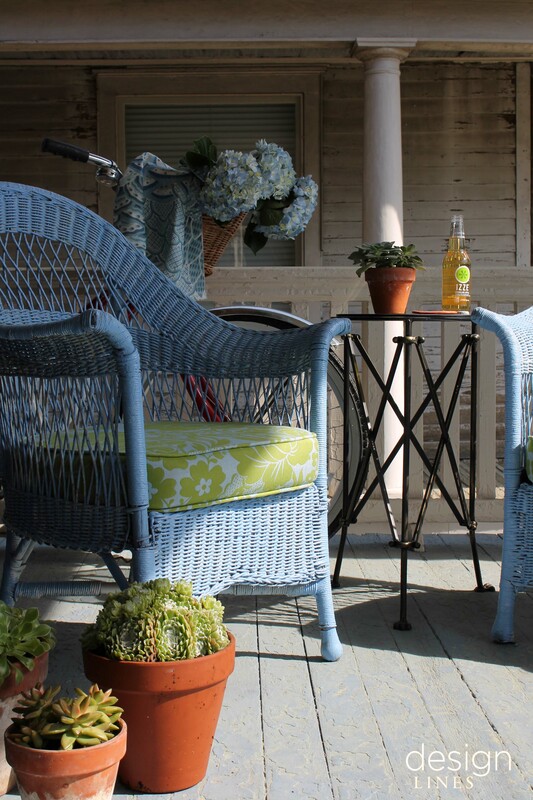 Brittany’s porch is ready for friends and evening entertaining. 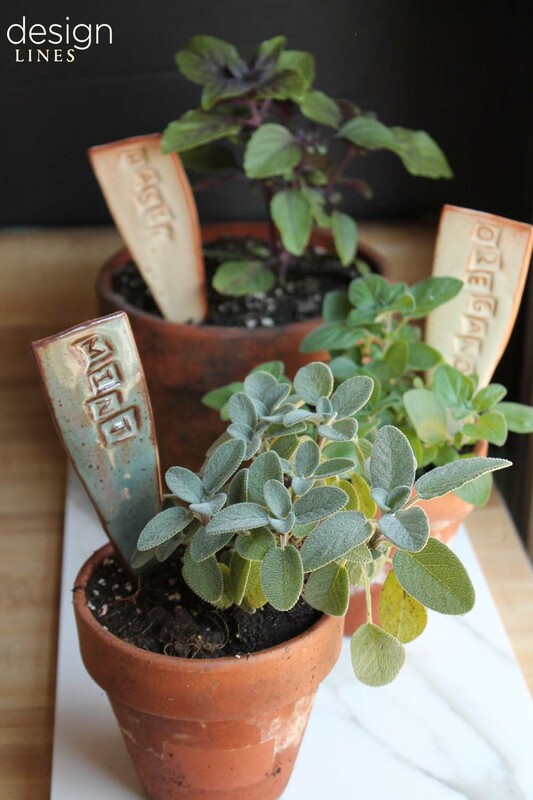 In the kitchen- potted herbs received some character with Anna’s herb markers- each made by hand. 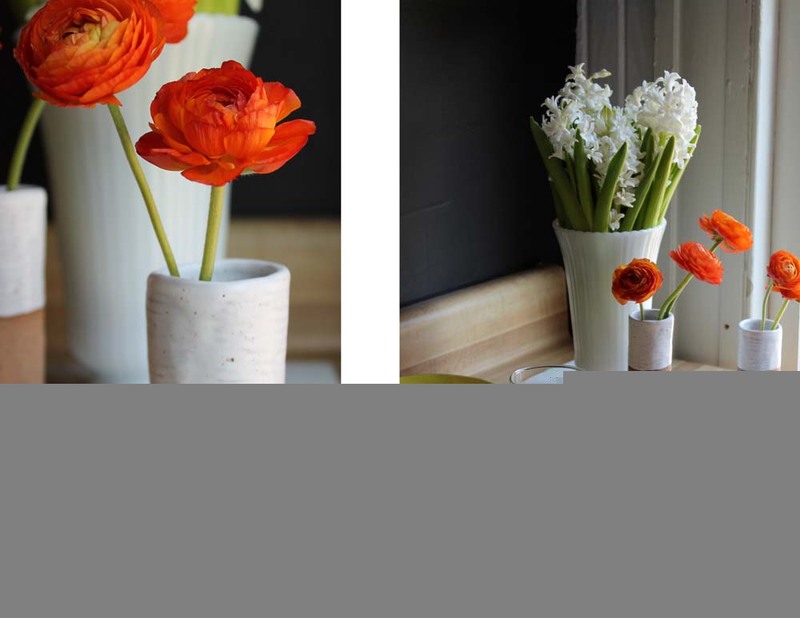 These cylinder bud vases looked so fresh and would look beautiful lined up on a fireplace mantle. 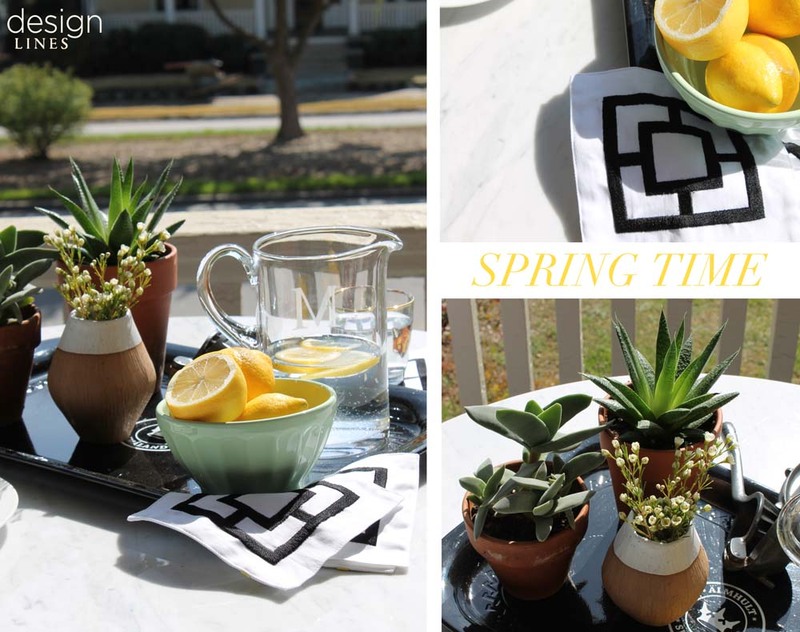 Leave a comment mentioning why you are looking forward to spring for your chance to win a bud vase from Arrow & Sage!! Every morning 9 times out of 10 we look into a mirror or open the shower glass door, but do we really know how these pieces are actually made and installed? Mike and Mark at Carolina Glass & Mirror in Garner, North Carolina recently showed me the process of cutting mirror. These guys have this process down to a science. Before the advancement of technology this process of cutting and fabricating a mirror use to take well over an hour, now it only takes roughly 15 minutes. The mirror arrives on a truck and is stored in what is called a stoce rack, back in the day mirrors use to be stored in wood crates. 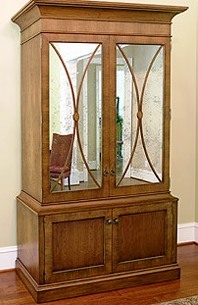 Now the mirror industry is striving to be more environmentally friendly. 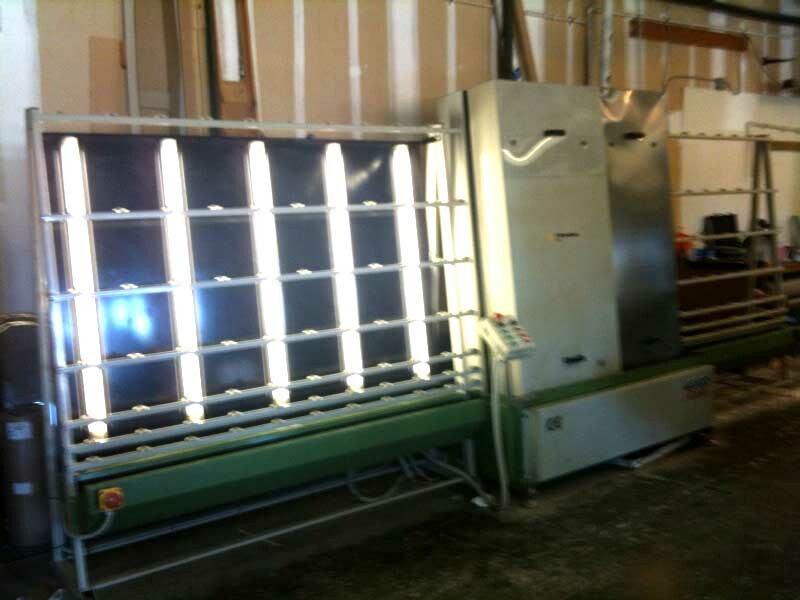 From this stoce rack, workers are able to access the mirror easier with a cup and vacuum system. With this system one worker can easily navigate the mirror so it lays correctly on the CNC Cutting Table. 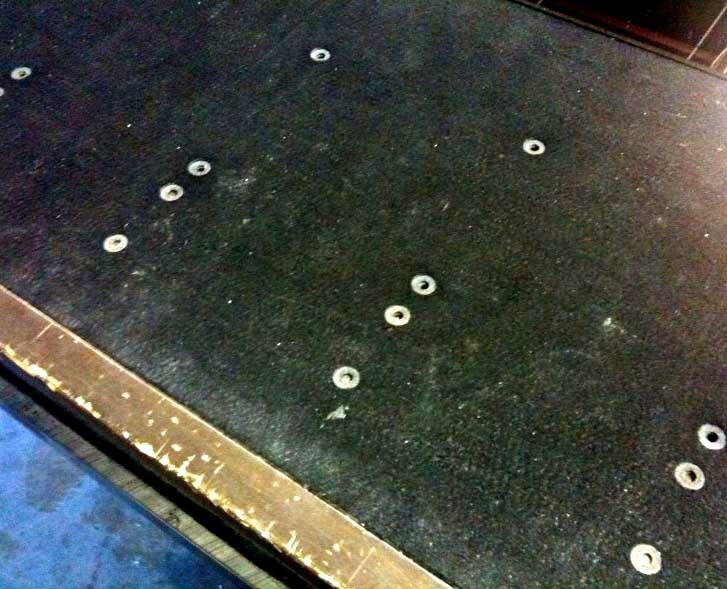 From there, the mirror is suspended on the CNC Cutting table by air which comes from these tiny holes within the table. Once the mirror is on this table, it is ready to be scored, which is guided by a laser. 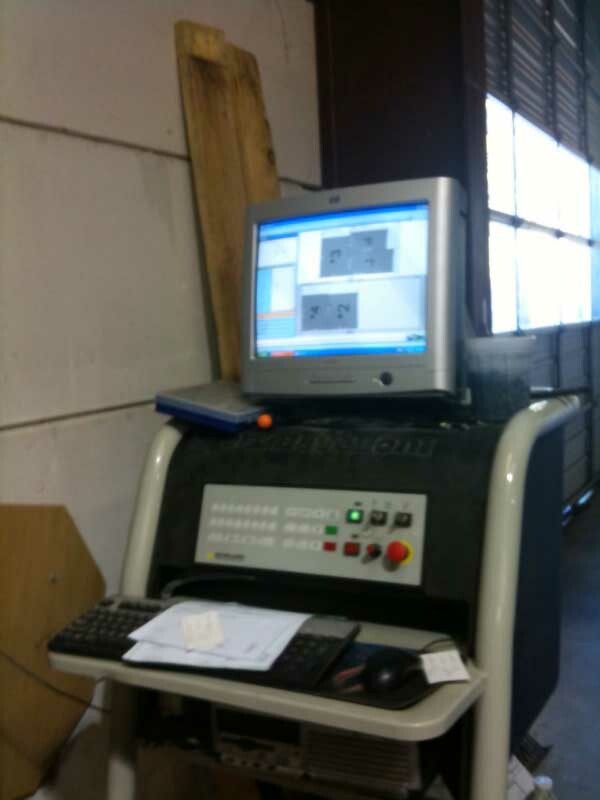 A computer software program helps the workers determine the precise measurements and then the laser is ready to cut. If there are several orders in production, the software program determines how each order can be utilized with the least amount of mirror wasted. Once the computer configures the measurements and mirror is scored, we then go to what is called the “break out stage.” This is where Mark, cuts the excess away from each mirror. 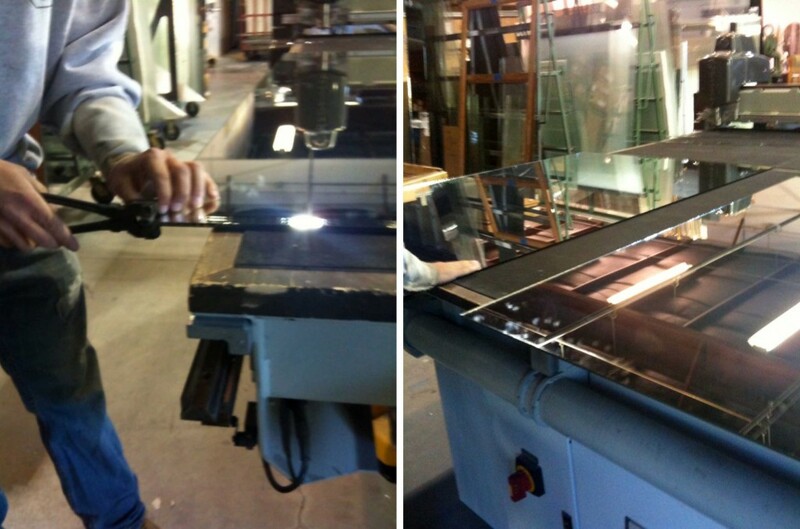 Labels are put on each mirror and then they are ready for fabrication. Depending on what the customer has specified a mirror can go to polishing or beveling machine and then to the hole drill machine. 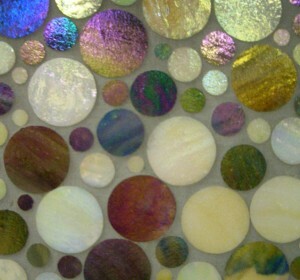 If the client wants a plain mirror with no detailing, it heads straight to the polishing machine. If the client wants a bevel around the border of the mirror, it then heads to the beveling machine. Within the beveling machine there are 4 diamond spindles and as the mirror passes each spindle, a layer is taken off the mirror. The end result is a beautiful frame around the entire mirror. If the client has sconces going up then the mirror needs to accommodate the holes needed for the sconces. The “Hole Drilling” machine cuts a hole, in less than a minute using a diamond bit which comes up from the bottom and down from the top. After the beveling and/or the drilling the mirror must go through the washing machine. This is the final stage of the process and one of the most important ones because if there are any imperfections, the light will shine through. You definitely do not want any imperfections! Once this step is done, the mirror is wrapped up, labeled, and loaded onto a truck where it is taken to the job site. We value the business partnership with Carolina Glass & Mirror and thoroughly enjoy working with them. They are a great team. Some of the more notable commercial projects Carolina Glass & Mirror has worked with are Marbles Kids Museum, The Umstead Hotel & Spa, The RBC Plaza, The Quorum Center, and Mez Restaurant in RTP. I am privilege to bring to you an interview with Steve Staresina, a dear friend to the Design Lines team and also a phenomenal artist right here within the Raleigh area. Take it away Steve. DLL: When did you first meet Judy/Design Lines? Steve: I began working with Judy about ten years ago. She brought me on for my artisan plaster work and distressing and wood staining finishes. Our first project together was a parade home that turned out beautifully. Judy and every one of the Design Lines designers are tremendously gifted and great to work with. Every time I am called to be a part of the team I know that it will be a great experience with the highest quality of design. DLL: How did you develop your craft? Steve:My artist and artisan profession grew out of my art and design studies at Kent State University. I have always had a passion for ancient and modern forms of art and visual communication. I came to Raleigh after college to find a growing, vibrant area with Cary, Chapel Hill and Durham all having their own distinct flavors of design. I have enjoyed being able to work in and flow through each area, meeting different people and making friends along the way. At the time my interest was painting on canvas. I painted more realist subjects, but I had an interest in modern design. I studied endless books on plastering, wood finishing, wood graining and other artisan and paint finishes. This has enabled me to work in Raleigh in my artisan field going on twenty years! DLL: What is so unique is that you not only do paintings, but distressing, antiquing finishing, and architectural motifs. What is the reasoning behind being so diverse in your artistic talent? Steve:The progression of experimentation, invention and creativity has always been my focus. I want to bring a distinct and fresh approach to a design firm like Design Lines. 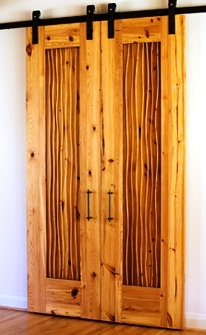 I am currently working on recycled wood and artistic panels for walls and ceilings that can be illuminated with backlighting. These are not found typically in homes, but elements of these ideas can be used to create mood through lighting; it’s a real meld of my artistic approach to design. DLL: For people who are not educated in fresco painting, briefly describe the technique? 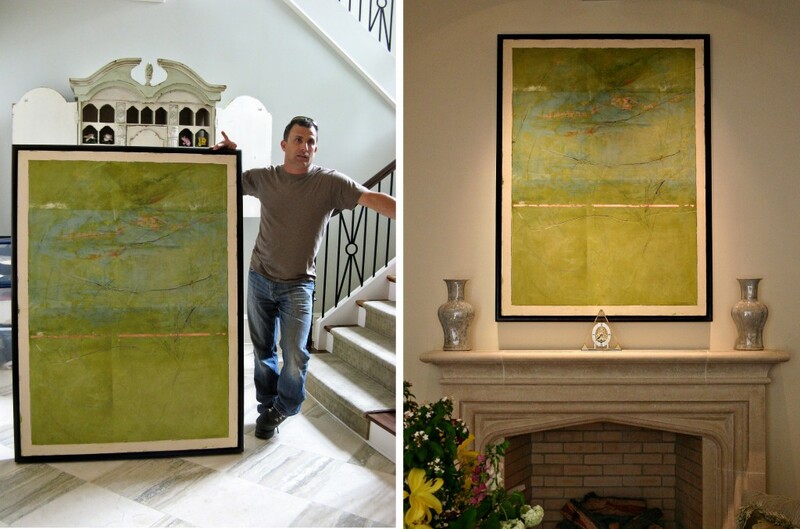 Steve: My modernist fresco paintings are all natural marble and limestone plaster. I am currently working on a series entitled “Landscapes of Serene.” In the paintings there is an abundance of texture, layering and carving. A tranquility emerges from the use of ever slightly subdued colors. Judy has a wonderful client who commissioned me to paint the first of the series (which is shown above.) Over the beautiful limestone hearth, it conveys a warm compliment to Judy’s overall interior design in the living room. I am thrilled to bring to you an interview with Chuck from RTown Living. Chuck is on the pulse of everything from living, playing, eating, and working in Downtown Raleigh. Thanks Chuck for your insight and knowledge; I am proud to call Raleigh home. Now…let me turn it over to Chuck. DLL: Describe the Raleigh Lifestyle. 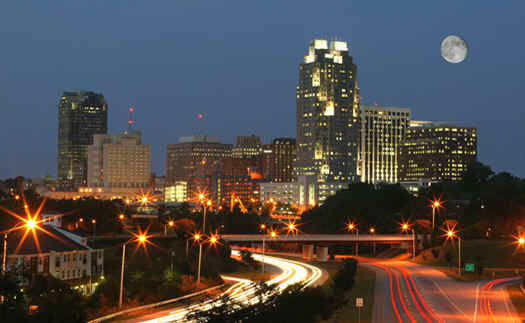 RTown Living: The Raleigh Lifestyle, to me, is an interesting mix of cultures. With so many different people moving here every day from other areas it’s created an awesome mixture of a little bit of this and a little bit of that. The biggest contradiction is the struggle between the “old South” and the “big city North” which leads to some pretty great aspects of small town America as well as the luxuries of larger metropolitan areas. The Raleigh lifestyle caters to everybody. It’s calm, it’s polite, it’s Southern! But it’s exciting, changing every day, and a wealth of opportunity. We have the beach a few hours East and the mountains a few hours West. We have a climate that gives us the best of both worlds. Hot summers at the beach, warm falls perfect for college football tailgating, a snow flurry here and there in the winter….and perfect springs. 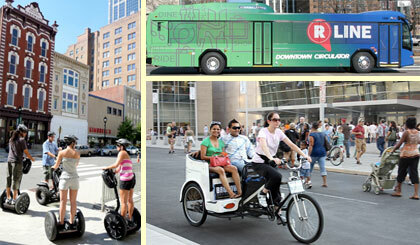 The lifestyle of downtown is amazing and has something for everybody. 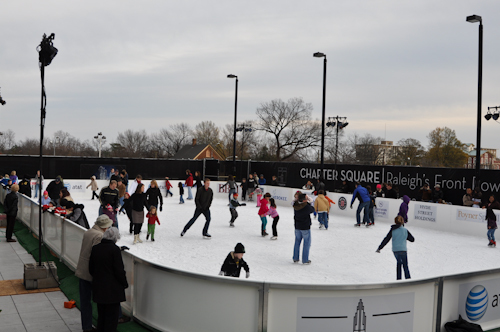 Here is the ice skating rink down at City Plaza. 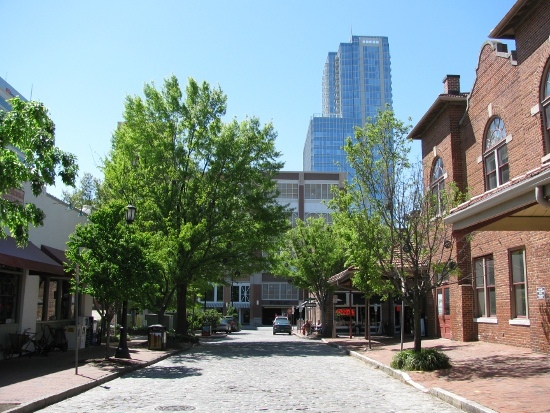 DLL: What sort of transformations have you seen Raleigh go through in the past 15 years? RTown Living:How about 15 months….or weeks. Raleigh is changing almost every day. And it has to. I’ve heard estimates of over 100 families moving here every day and reports that our population is expected to double in the next 15 years making us one of the fastest growing cities in America. With all that, change has to come. We’ve seen the city government take a proactive role in creating a safer and more desirable downtown area complete with shopping, culture, history, parks, museums and much, much more. We’ve seen a shift to a more eco-friendly city with the addition of the RLine, green restaurants like Spize Cafe, the Raleigh Rickshaws and soon to come bicycle kiosks. There is now free Wi-Fi downtown and a City Plaza complete with an ice skating rink in the winter. We’ve seen an exciting change in that recent grads from our top universities in the area are now calling Raleigh and the triangle home instead of moving to bigger cities. Our work force is stronger and now smarter. A smarter workforce leads to a more educated community and therefore a more progressive and educated consumer. And possibly the biggest or at least the tallest transformation is that downtown Raleigh now has an abundance of condo and high rise living. I can’t think of a better view than the one from the roof top pool and BBQ area of the RBC Plaza. It’s amazing. DLL: Why is downtown Raleigh the place to live instead of a community like Cary or Apex or for that matter another big city like Charlotte, Philadelphia or Baltimore? RTown Living:Well, it may not be the place to live for everybody but I find it very desirable and exciting. And I moved here from Baltimore! I guess others are thinking the same thing as recently we are seeing a bit of a shift in where people want to live. Many young people seem to be waiting longer to “settle down” and want to be near the excitement that a downtown area brings. Many “older” people, empty nesters or retirees are downsizing to smaller, more convenient homes and neighborhoods like downtown Raleigh as well. The 90’s and 2000’s were all about MORE, MORE, MORE, and recently we’re seeing those same people give that up for smaller, urban communities. As our property values and appreciation rates in Raleigh stay conservative and consistent, we will continue to see people relocating from the larger, overgrown, possibly less stable cities like Charlotte, Philadelphia and Baltimore. I think there will always be a market for areas like Cary and Apex. People can move there from other areas and get so much more for their money, however, the shift we are seeing not only in Raleigh but on a national level, is a shift back to urban areas. As Raleigh’s ITB and downtown area continue to develop, there will be more and more of the consumer who wants to be near the action moving in. DLL: For new home owners looking to find a place of their own, what are three factors you suggest they keep in mind when looking, if they want to consider the downtown area as their new backyard? RTown Living:I can only pick 3? Wow. There is A LOT that goes into home-ownership and I always recommend taking it slow and working with somebody that you trust…especially if it’s your first time. I guess that’s #1. I’ve come across many people, my younger self included, that after reading a book or two felt they knew everything about buying real estate and we didn’t. So take it slow and talk with somebody in the business that’s educated and professional and above all…you like and trust. Buying a home is often the biggest financial asset a person takes on and you need to work with somebody that is looking out for your best interests. Number 2…focus on your lifestyle. You want to live near certain things that fit into your lifestyle. Whether it be nightlife, restaurants, walking trails, shopping, dog parks, and a million more. Also, and maybe more importantly, the spending habits of your lifestyle is something people don’t pay enough attention to. If you absolutely do not cook and you eat out 21 times a week…you don’t want to start looking at homes a little out of your comfort level price range and say “umm…if I stop eating out and learn to cook then I can afford this house.” NO! You won’t. Don’t do it you’ll only be miserable and you find yourself in financial trouble soon. And number 3…know why you are buying the home and what your plans for the future are. That seems a little weird and maybe simple but it’s so true. People buy homes for many different reasons ranging from buying your dream home, to finding your starter home to buying an investment. Even first timers need to think about this. That will help you narrow down what neighborhood you will want to be in and there are many different areas of downtown all with different “feels” and appreciation potential. Each neighborhood is it’s own community with different amenities, different appreciation rates and different styles of homes. 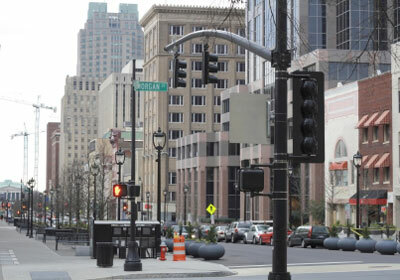 DLL: Your thoughts and 2010 projections on the real estate market in Raleigh. RTown Living:My thoughts and projections are positive for our market. I can’t help but be excited about the direction we are headed. The first time home-buyer tax credit was huge and helped a lot of people get into their first home. We’ll see a little bit of a slow down now from the mad dash to get under contract on a home before April 30 but it will pick up again. 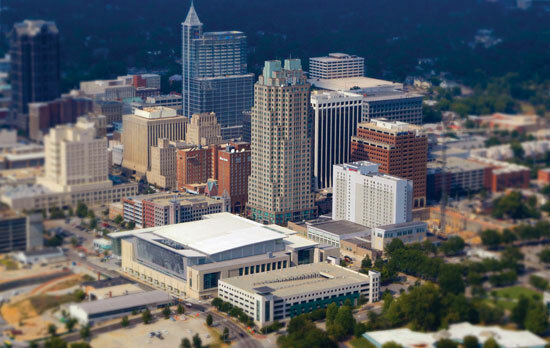 We are so lucky to live in an area like Raleigh and The Triangle and to have not been so badly affected by the housing market downturn as many areas in the country. With our conservative average appreciation here we’ve avoided, for the most part, the huge crash. We’ve seen days on market increase but sales prices remain fairly consistent through much of the recession. Of course, if you bought a home in the last two or three years you may be in a different situation as you most likely bought at the top of the market. But moving forward, our showings are up, our year over year sales are up and we’re leading the way out of the recession. It’s a great time to be in Raleigh and it’s a great time to buy a home. 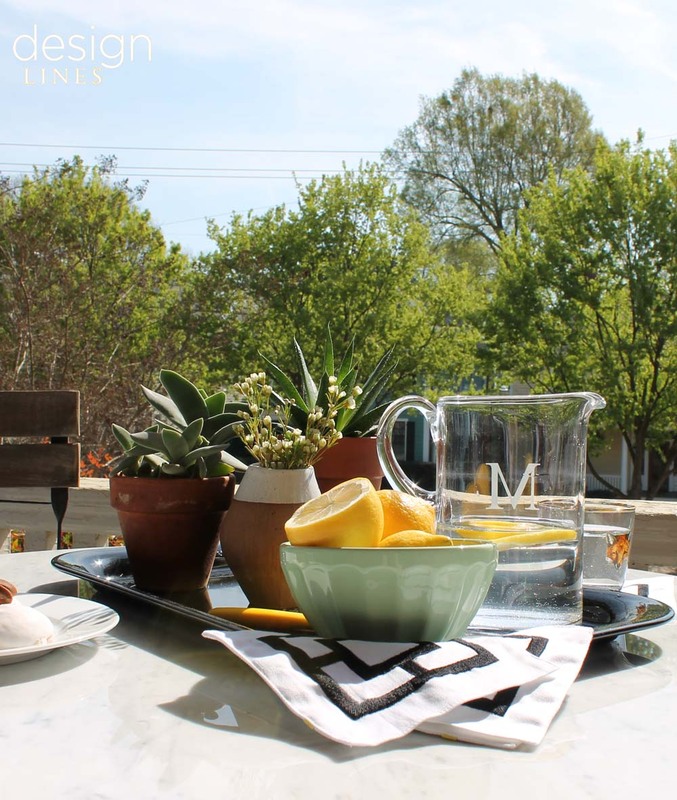 In every guest blogger series we strive to educate our readers on other Raleigh area businesses that have a strong working relationship with Design Lines and bring that same level of knowledge and expertise to the luxury housing market within Raleigh. You may not have thought about it this way, but the hardware within a house can change the look of a bathroom, front door or even kitchen. Do you ever think about those details within your house? 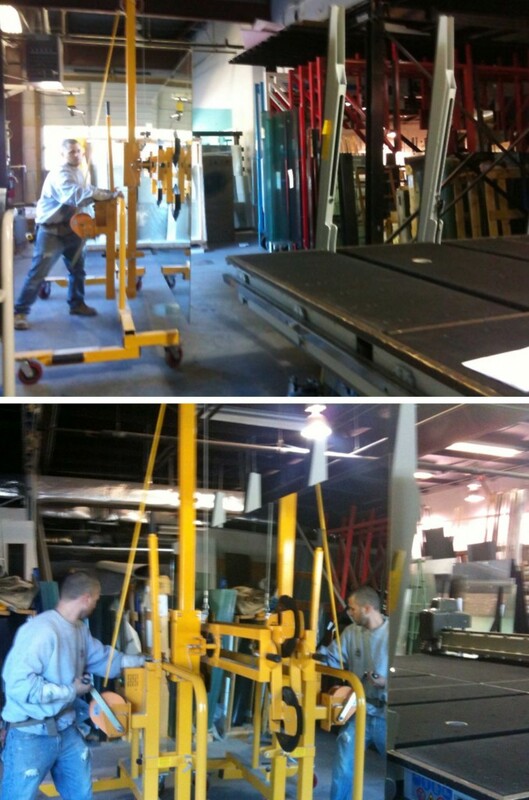 Today, we have focused on Rick Jacobs who has teamed up with David Fitchett and Mike Wilkins to form Taps & Latches. 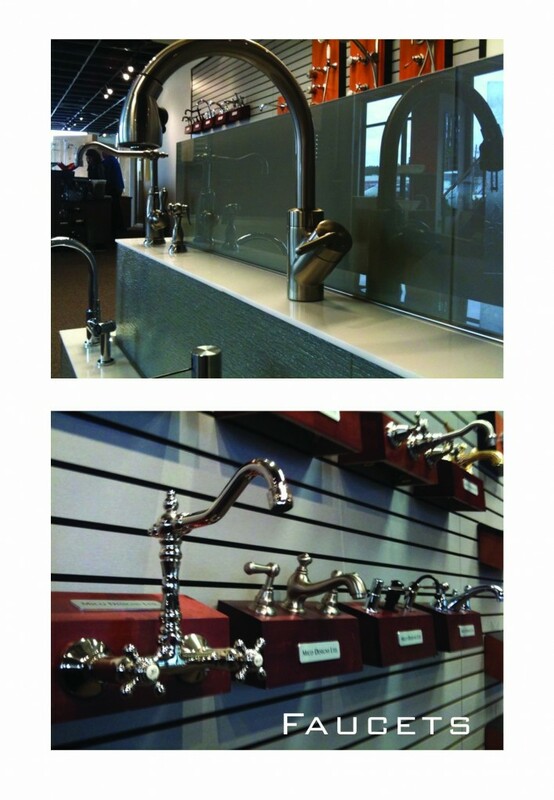 Currently, their showroom is located inside the Carolina Glass & Mirror Showroom in Garner, right off of Interstate 40. 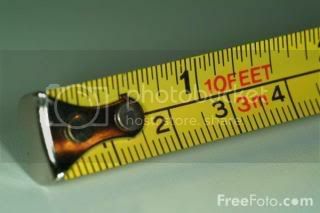 What are some hardware details that clients sometimes overlook? Clients tend to over look flush leavers (the leavers you hit when you flush) and supply lines (which are the plumbing lines behind a toilet. ) Who knew? 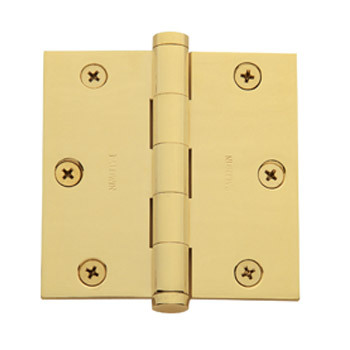 What is your favorite type of hinge? If you could have any doorknob/door what would it look like? 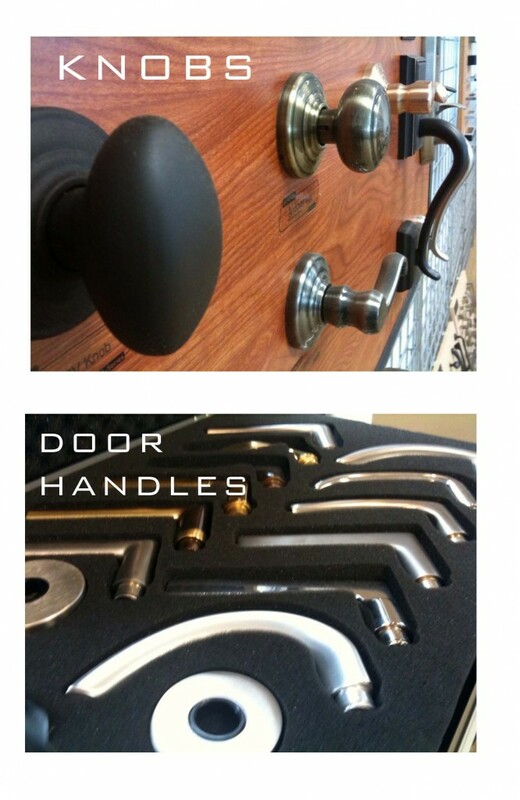 If I could have any doorknob, it would be a contemporary steight lever with a polished chrome finish. What are some trends specific to Raleigh? Clients in and around the Raleigh area are using more deco contemporary looks that are clean and easy to wipe down. More polish chrome than anything!! People today are thinking outside the box. They are not so matchy matchy anymore. When did you first meet Judy? 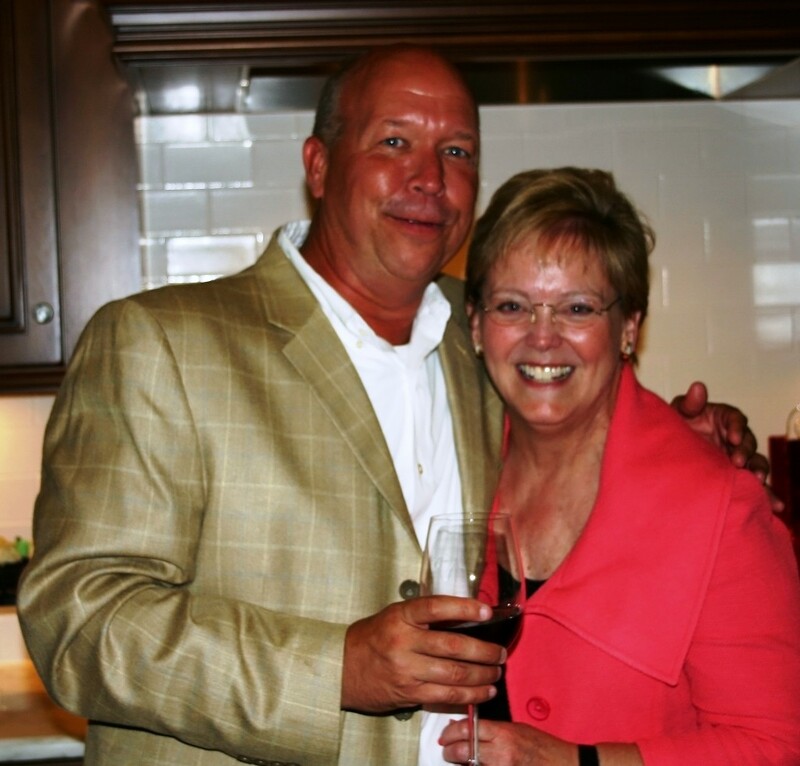 Rick met Judy back in 1994 when Judy was looking for hardware for a specific project. At the time Rick was at Raleigh Contractor and down the road they ended up meeting again on several other new construction projects. Now today, they look back and cannot believe it has been over 14 years since their business partnership started. For Mike and Ann of Eidolon Designs in Raleigh, custom craftsmanship is the way to a successful business. Ann is known by trade as a sculpture artist and Mike is an expert engineer craftsmen of custom built furniture, millwork and cabinets for over 26 years. The heart of this business is creativity. While interior designers work with various textures and fabrics, Mike and Ann work various species of woods to create their pieces. Just like the color wheel there are a hundred different types and species of woods. 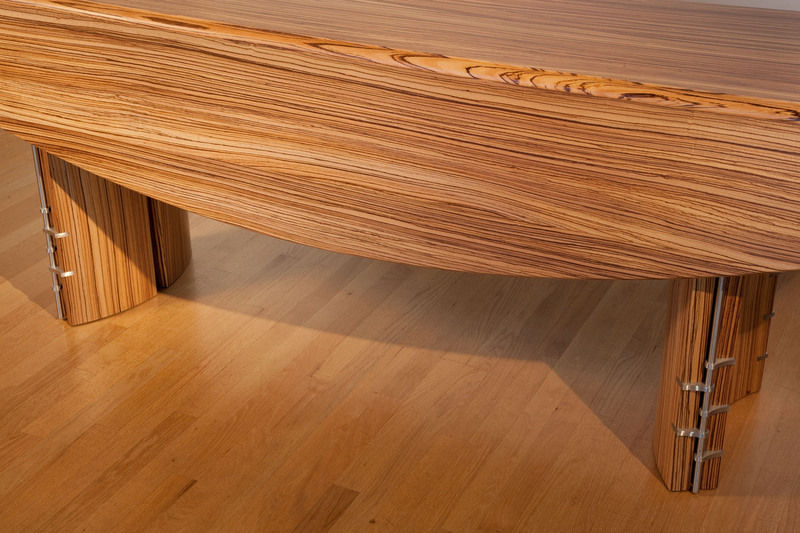 From pine to Mahogany to Zebra wood Eidolon Designs works with it all. For people who are unversed in customization, the process could be compared to telling a kid to stay within the perimeters of the sandbox but he can create anything he wants with the sand. 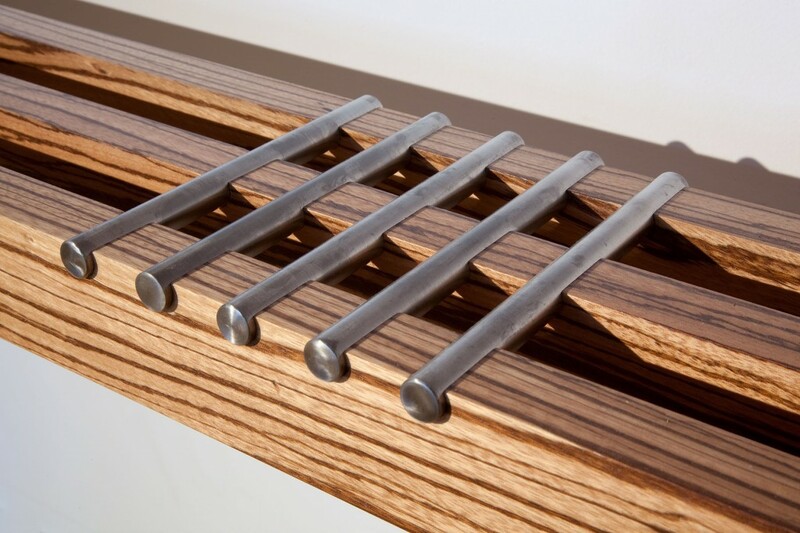 To Eidolon Designs the options are limitless with a custom built furniture piece and each job is singular and unique with different qualities. Ann says, when you buy a piece of furniture already made you are sacrificing something which is often compromising the functionality of the piece. Judy, the principal designer and owner of Design Lines, is always willing to take a step into this realm of creativity with Mike and Ann. She understands the importance of having a piece that does exactly what the client envisions. If you could have a piece that does everything you want it to, what would that include? Mike calls it the client’s “wish list” and from there Mike works with the interior designer to make the piece, millwork or cabinetry a reality. What is on your wish list if you could create your own custom piece of furniture? What is the one thing you have to have in your next entertainment center? Next post we will bring you a more in-depth look at the process. From step one of buying the wood and materials to what it takes to produce the final product. In the meantime check out Eidolons site or see there work on our most recent project together, the NBC 17 set of My Carolina Today, which airs weekdays at 11am on channel 6. The set design/construction segment airs tomorrow at 11am! You can see Ann & Mike on TV! 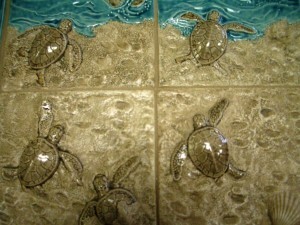 Decorative tile can be environmentally friendly and still look beautiful! In our final post of the Guest Blogger Series with Triangle Tile & Stone of NC, LLC we bring to you a new way of thinking about tile. 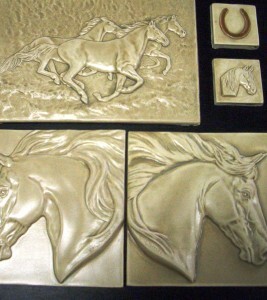 Triangle Tile and Stone of NC, LLC represents Medicine Bluff Studios, a small artisan studio that takes corporate social responsibility to a new level. 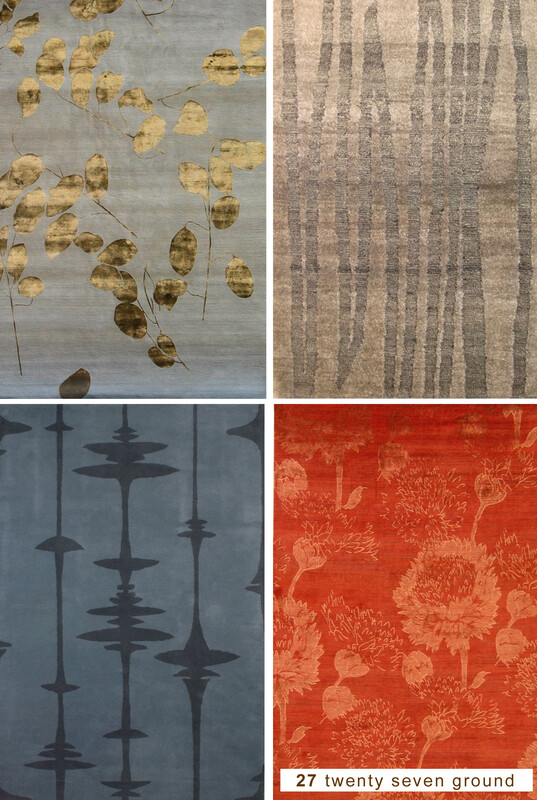 Within the interior design industry the manufacturing stages of the production process are constantly being redefined as the demands from consumers has increased to purchase environmental friendly products. Do you work for or know of a socially responsible company worth mentioning? What is unique about them? 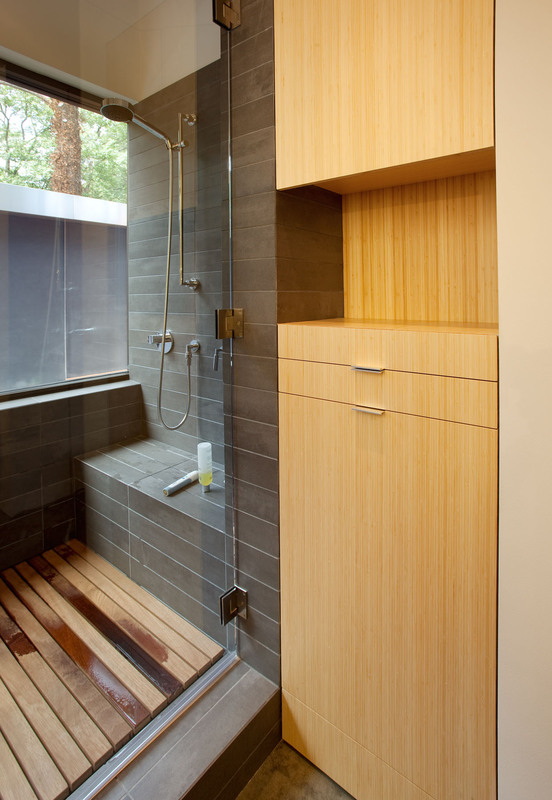 What are you doing to help create a livable space while also being eco-friendly? We would love to hear! To see previous Guest Blogger Series post click here. In collaboration with Emily from Triangle Tile & Stone of NC, LLC we are delighted to bring to you 5 unique tile patterns that can give style and character to any kitchen or bathroom! 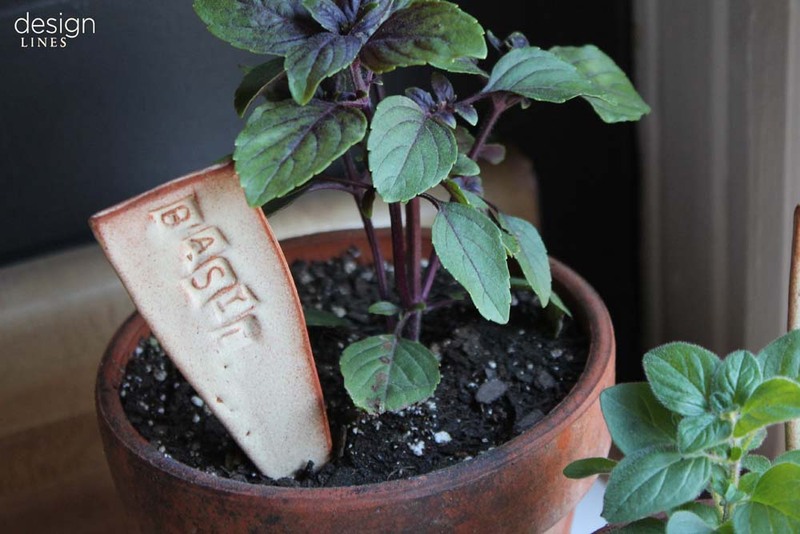 Who knew tile could be so innovative. During the design process we work with many of our clients to select the perfect tile that corresponds with the overall look and feel of the house. 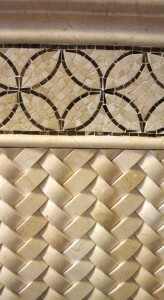 Different tiles invoke specific moods and below are Triangle Tile & Stone of NC, LCC top 5. Check them out! 2. 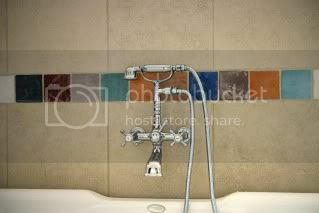 Syzygy Glazed- Features hand painted glaze details on all tiles. 3. 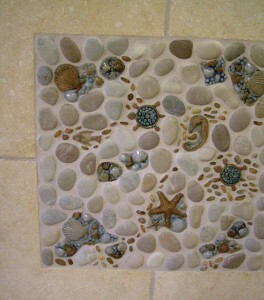 Bella Vista Sea Creature panel- Beach please! 4. Bubbilicious Bubbles- A splash of fun for any kids bath. 5. 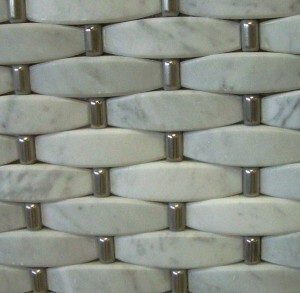 3-D Basketweave with Metal- A great backsplash for any kitchen. As promised, Design Lines has brought back Triangle Tile & Stone of NC, LLC to give you some important tips to keep in mind when selecting tile. For a profile on the company click here. 1. Utilizing the services of an interior design firm can be crucial in gaining valuable direction and advice to achieve the most satisfactory end result to your project. The established relationships these interior design firms have with reputable vendors can guide you towards the best selection and pricing available and help you save money in the end. Be proactive in calling ahead to set up a design appointment with a design sales consultant at the tile and stone showroom. With the knowledge of the inventory and product offerings they along with your hired interior designer will be instrumental in making product/design suggestions and very helpful in generating the necessary paperwork that your builder/contractor/installer will need to price the job for you. 2. Come prepared for your meeting at the showroom by bringing approximate dimensions and pictures of your space if doing a remodel or a floor plan if new construction. This will help the sales consultant see the space you are working with and better guide you with design and patterns. 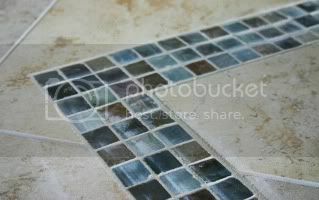 Also bring inspiration pictures you have clipped out of magazines or colors/fabrics in adjoining spaces that may dictate undertones for your new tile selections. 3. Porcelain or Stone? The maintenance involved is very different for each of these products. 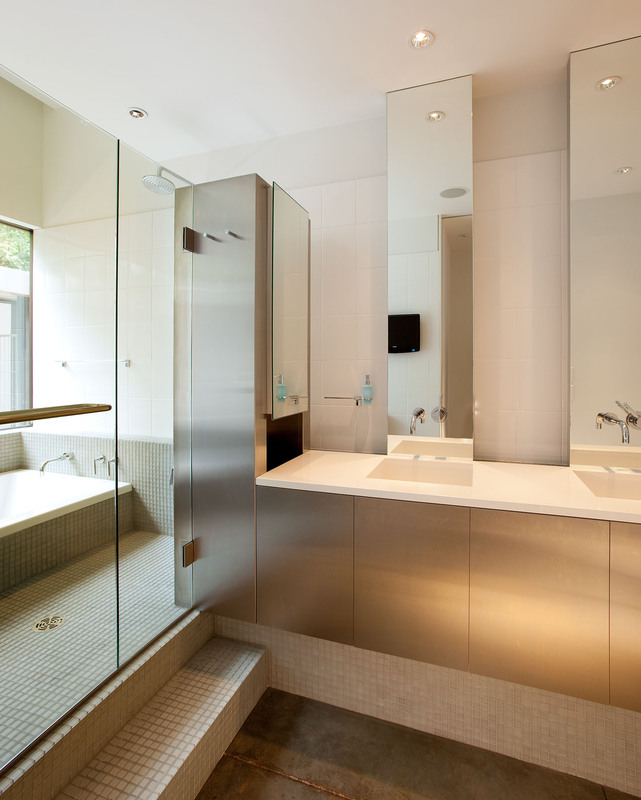 It is wise to start thinking ahead of time about how much maintenance you would be willing to do for your space. 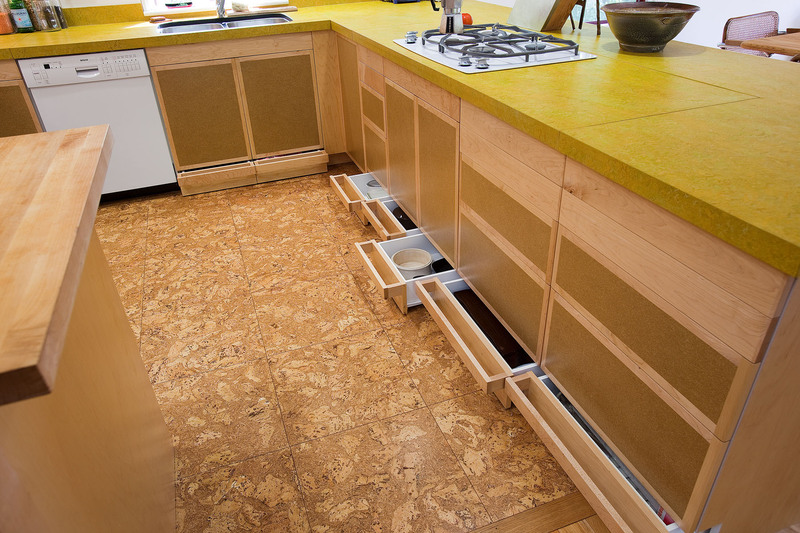 Natural limestone, marbles, and travertines while beautiful, are porous and require regular sealing. 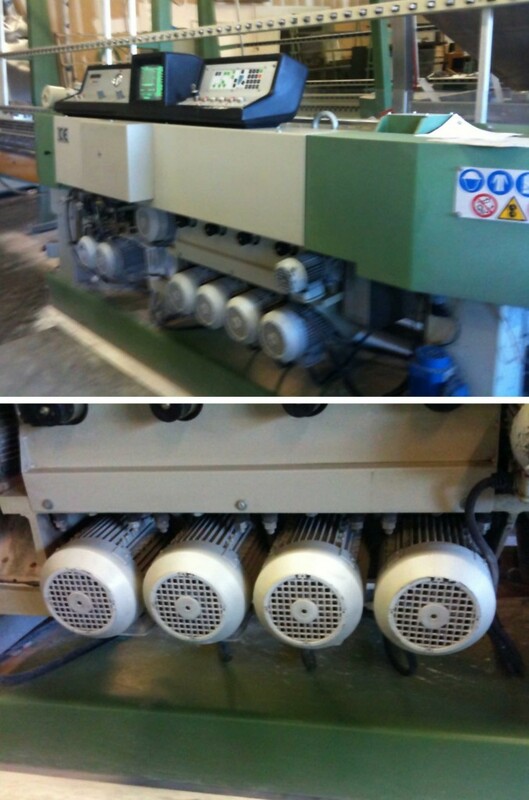 While not a difficult process, it is necessary to keep up the beauty of the products. Porcelains do not require sealing and are therefore fairly maintenance free. 4. To accent or not to accent? That is the question. 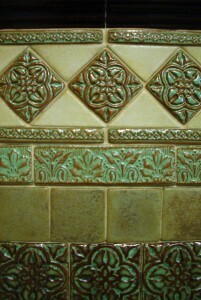 Accent tiles are a great way to break up the tile design in a space. The one item to consider when contemplating an accent is whether or not you will like it in the long term. Mosaics are always a very cost effective way to accent because many smaller strips can be cut from the larger sheets and used as borders. This way you get more bang for your buck. 5. 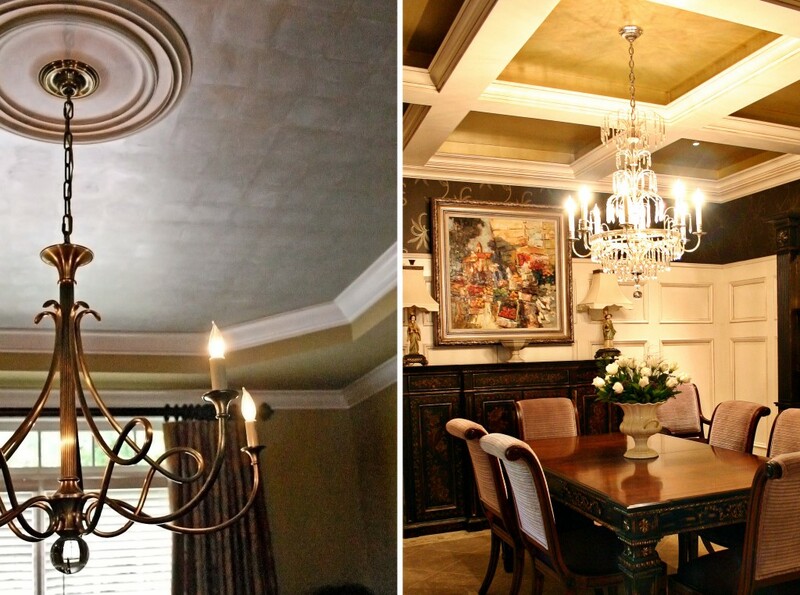 Checking out samples and taking them home to view in your lighting is crucial for making that final decision. 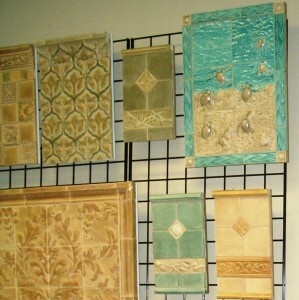 Most showroom lights do not represent how the tile coloration would look inside your home. Taking the pieces home gives you time to view them during all times of the day to ensure they are working with the other elements of your home. We hope you enjoyed these tips and if you have any thoughts or experiences yourself, please do share!